This ring from the Marco Bicego Siviglia collection was inspired by the cobblestone streets of Seville, Spain. Crafted in 18K yellow gold, it features hand-engraved open, oval links of various size. 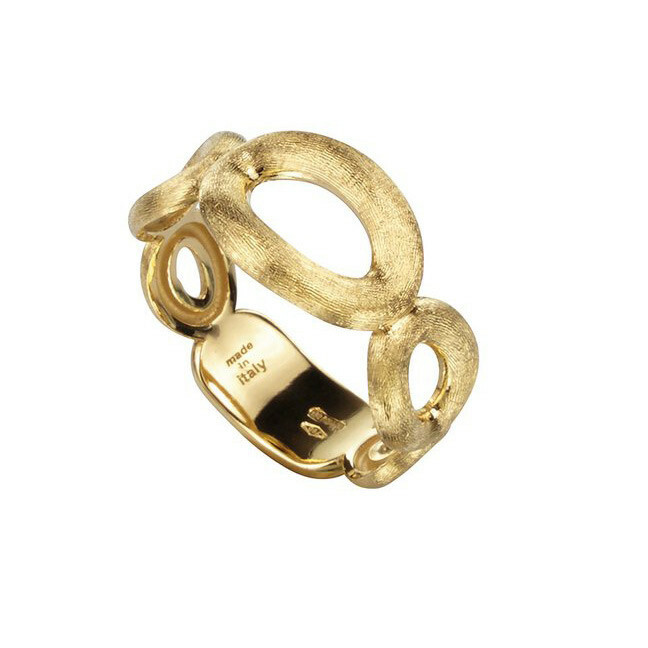 Be transported to another time and place every time you look at this Marco Bicego ring!